Ortlieb Backroller pannier bags are my favourite bags on the market. They have very few shortcomings, and for the shortcomings that they’ve had I’ve found a fix. There are two-related issues that I’ve come across. 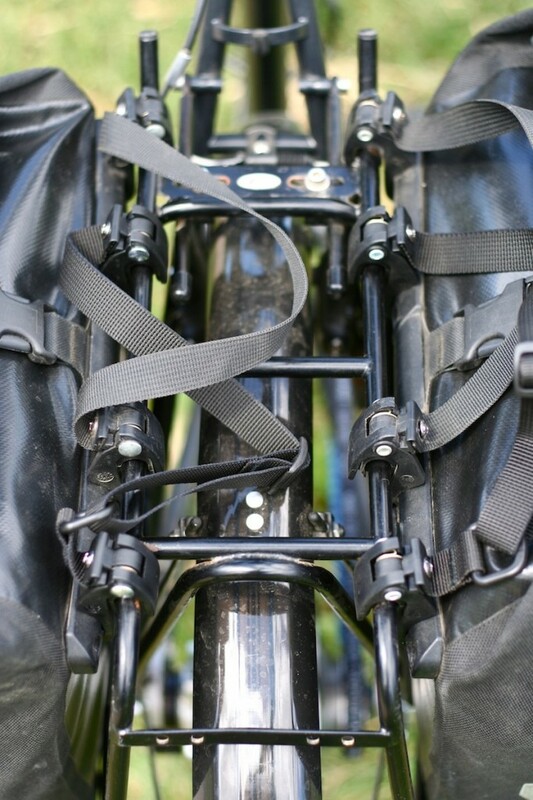 The first is that the pop rivets that hold the QL1 rail onto the back of the pannier bag can sometimes break and will need replacing. A more secure method of re-attaching the rail is to use a bidon cage bolt and nut. If this problem does arise, simply bolt the rail back to the bag. I recommend using a washer against both the bolt and the nut to gain extra torque, as well as loctite or grease if possible. On the Myanmar tour, Campbell’s rivet popped on his Ortlieb bag. This is due to the amount of stress that the hooks undergo when the bags are really full! The second is related to the first. It occurs when the pannier bag becomes slightly rounded when it is choc-a-bloc full of gear. 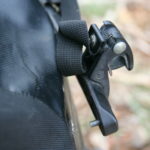 This means that you have to really force the pannier hooks onto your rack, putting a lot of force onto the Ortlieb rails. This is generally the reason why your rivets will pop in the first place. What Campbell and I do now is run four hooks per rail, which allows your pannier bag load to spread evenly across the rack and the four rivets along the rail. You can buy spare Ortlieb QL1 hooks from your Ortlieb dealer. 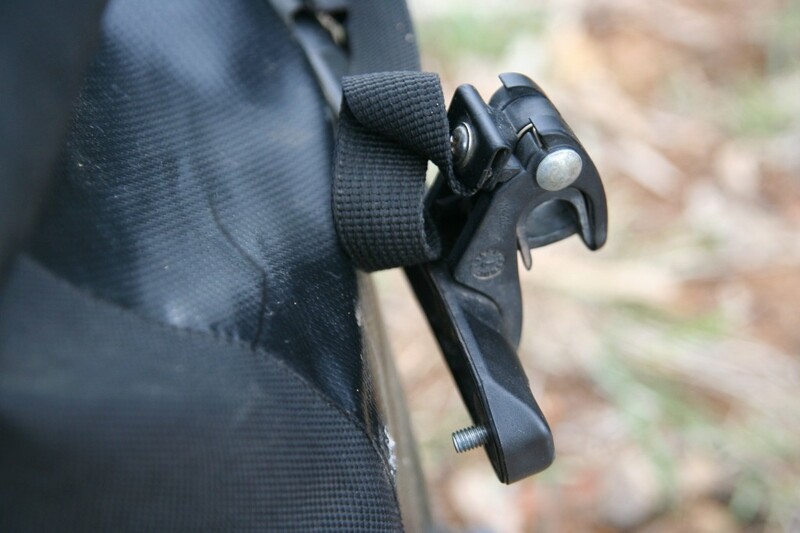 Running four Ortlieb hooks per side reduces the stress on the bags rivets.